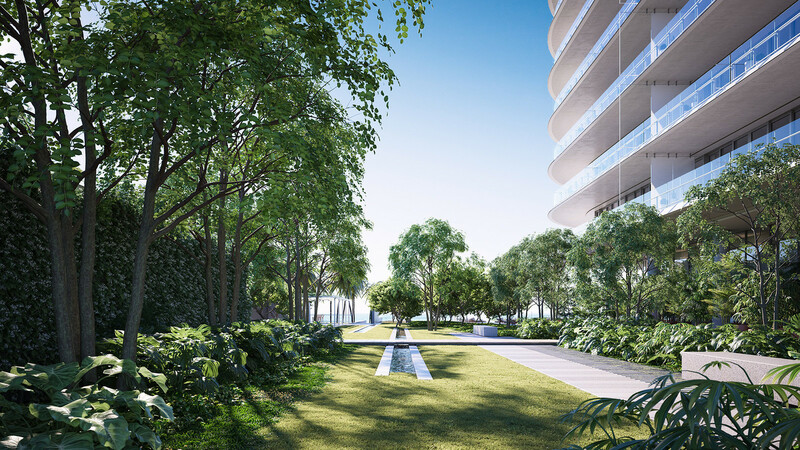 Private Garden Park and city, water and flora come together in an urban eden at Eighty Seven Park. 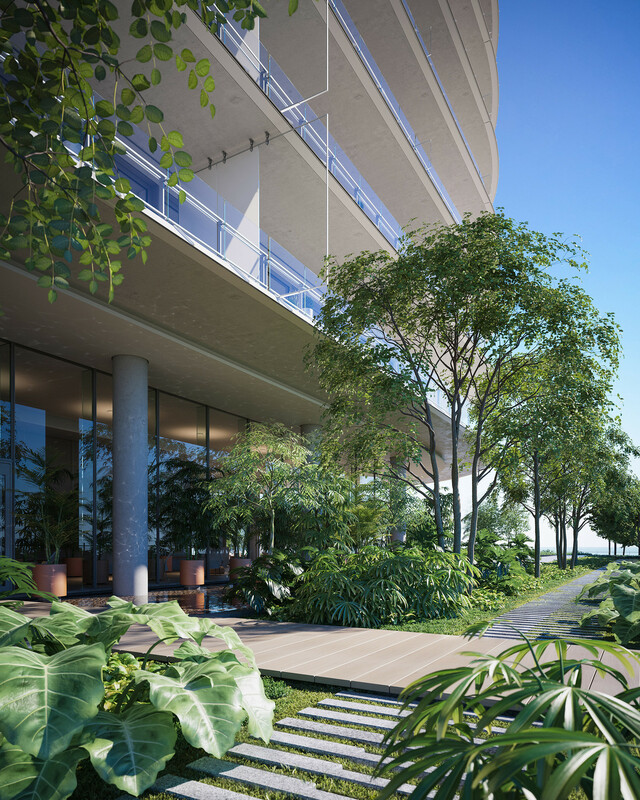 In a series of private spaces, residents will savor terraces, gardens, lounges and pools as well as a pavilion for cultural and social occasions. 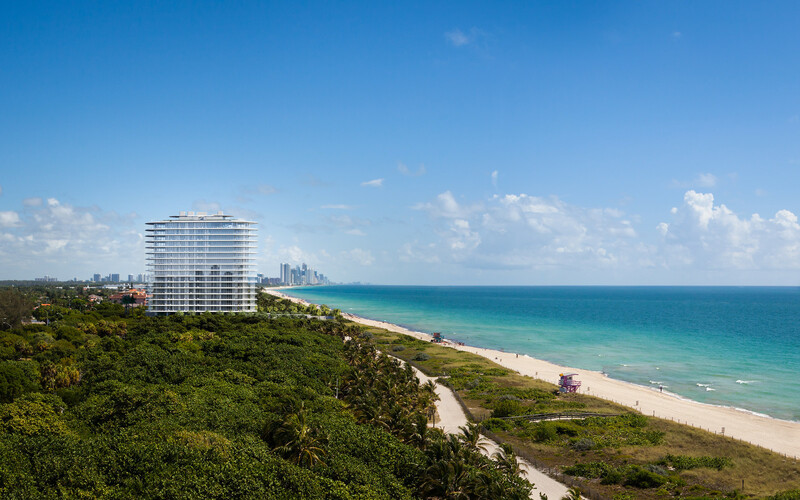 City Park In a newly-invigorated city park, the people of Miami can enjoy 35 acres of oceanside walks and cool shade. 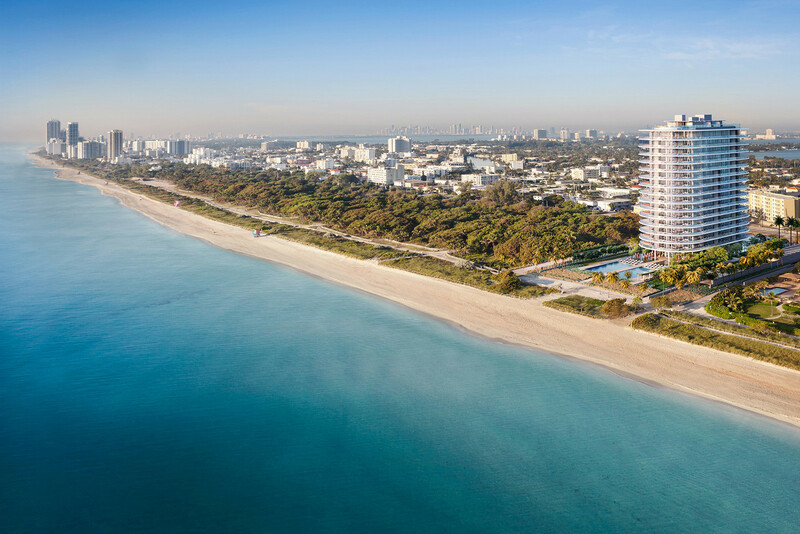 On long, winding paths fringed by grass-topped dunes and sea grape bushes, joggers take in the fresh sea air and kids squeal with joy; their parents sipping lattes and catching up with friends.